Why base yourself in Muscat to visit Oman? 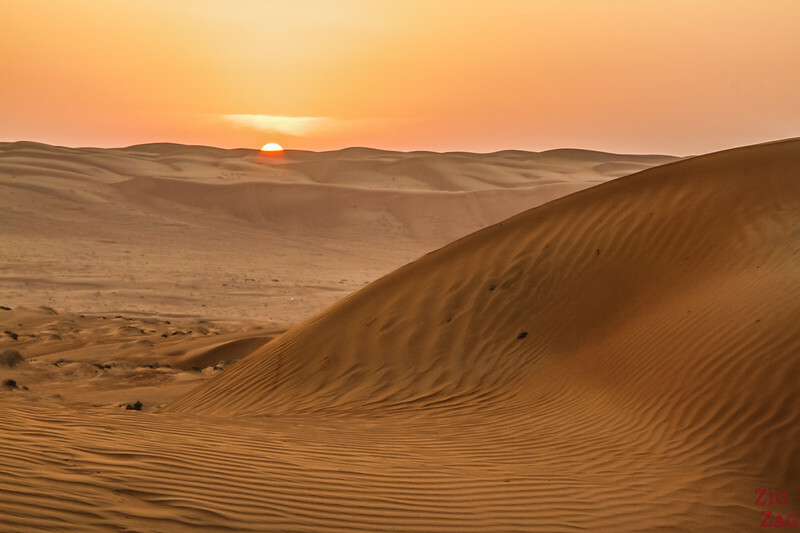 Road tripping is great (see my guide to help you plan your Oman road trip), but if you have only a few days, the option of guided excursions from Muscat are a great option. And you can alternate the days on the roads, with calmer day exploring the capital city and its many wonders. 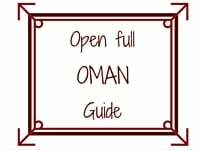 So if you establish your base in Oman, you have to choose your accommodation. Most hotels are in the modern part of Oman called Qurum or in the more business part Ruwi. A great place to stay is near the Al Qurum beach to enjoy a nice walk at the end of the day. This trip will first take to one of the most beloved village in Oman called Misfat al Abriyeen with its exquisite views and narrow stone paths on the mountain slopes. Then you will climb to the top of Jebel Shams to feel dizzy with the impressive drop of Jebel Shams. This canyon is called the Arabian Grand Canyon. Its summit reaches 3000M in height. Want to see more photos of Jebel Shams? Hea﻿﻿﻿d﻿ ﻿to m﻿﻿y article. It is a long drive but you won't get bored, the views are fascinating the whole way. And you will be able to enjoy a coffee break with some locals! If you want to escape the heat and business of Muscat, the Akhdar mountains are where the locals go. This large plateau is quite fascinating with plantations in terraces and what looks like layers of mountains. 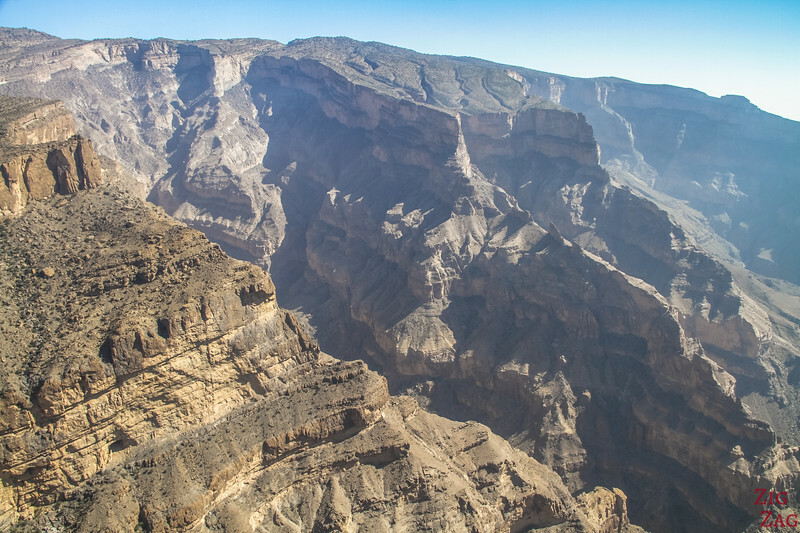 Want to see more photos of the Jebel Akhdar ? Head to my article. The drive will take you through some small villages all the way to the plateau. After a picnic, you can enjoy some of the most beautiful locations in the area. If you love desert, raise your hand!!! Me too, me too. Whenever there is a desert, I don't miss a chance to spend some time there. 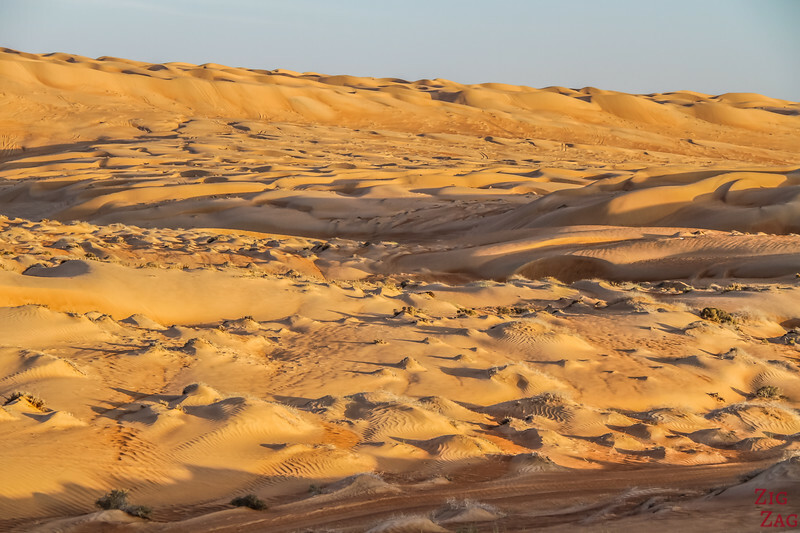 The chance is that the sand dunes of Wahiba sands are not really far from Muscat, so you can visit them on a day trip (but an overnight stay is even better 🙂 see the overnight section further in the article). The dunes are longitudinales and between them are smaller ones. Want to see more photos of the Wahiba Sands ? Head to my article. This toor take you both the Wahiba sands for some 4WD fund and to the gorgeous Wadi Bani Khalid with white walls and crystal clear pools where you can swim. A full day of wonders. 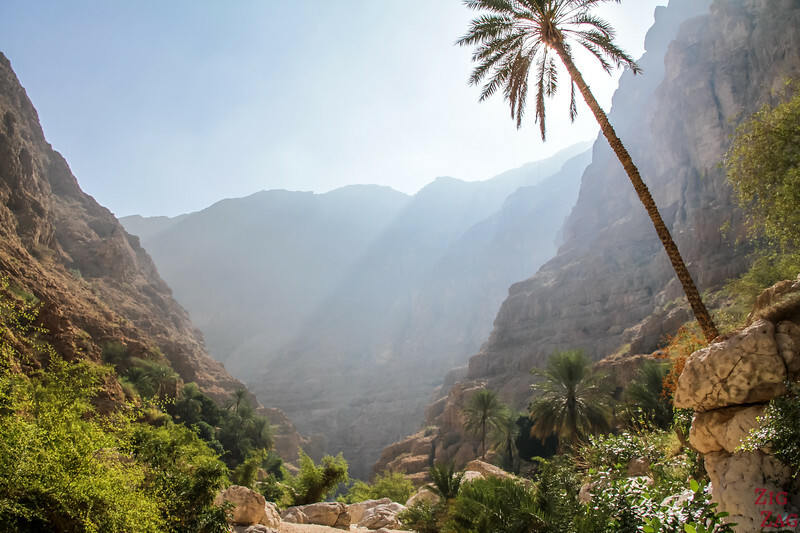 Explore one of the most beautiful wadis in Oman. Wadi shab is exquisite. The fun hike at its bottom will take you from large area to narrower ones with small and larger pools. After a while you can only continue by swimming all the way to a semi-cave and a waterfall. Want to see more photos of the Wadi Shab ? Head to ﻿my﻿ article. This tour to Wadi Shab will also take to the turquoise Sink hole of Bimmah and Finns beach, one of the most beautiful in the country. A gorgeous day with not too much driving time. Another Oman day trip from Muscat goes to Wadi Bani Auf, a canyon where you can drive 4WD. This allow you to explore small isolated villages. Thanks to a strategic location, the Nakhal Fort has had a long history and has been enlarged and modified many times. Today it is open to tourists who can enjoy beautiful views of the Oasis. Nizwa is the biggest town inland. It is built around its fort and traditional market. 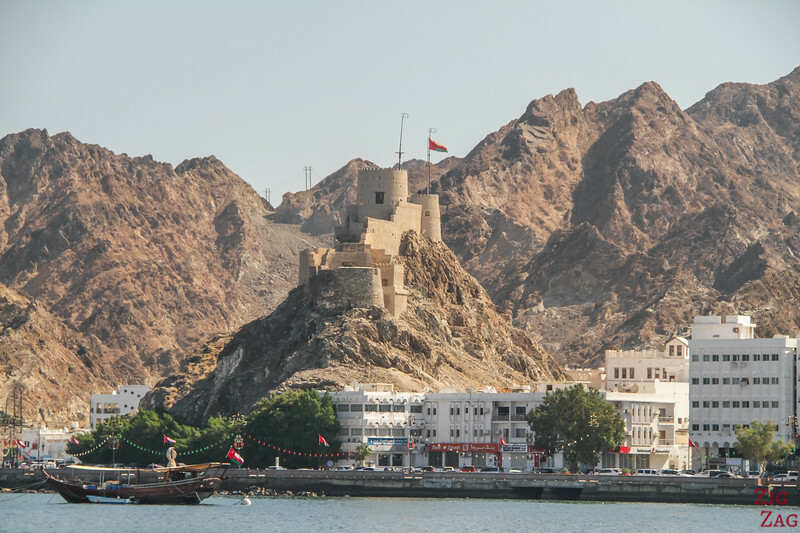 It is a great place to explore to learn about the Omani history and culture. Want to see more photos of the Nizwa fort ? Head﻿ to ﻿my﻿ article. This Nizwa tour will give you some time to explore the fort and the market. The waters of Oman have an abundant sea life with turtles, fishes and dolphins. So hop on a boat and try finding a pod of wild dolphins that will have fun with the waves created by the boat. Want to see more photos of this snorkeling experience ? Head﻿ to ﻿my﻿ article. 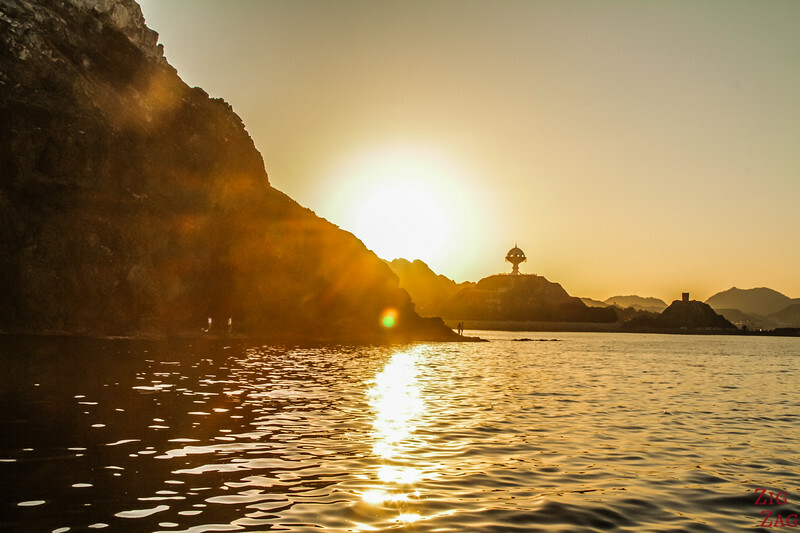 This is a great tour where, on top fo the dolphins, you can see the coastal formations and mountains North of Muscat. You will also have an opportunity to snorkel in the Bandar-al Khiran reserve. And maybe like me you will spot a turtle! 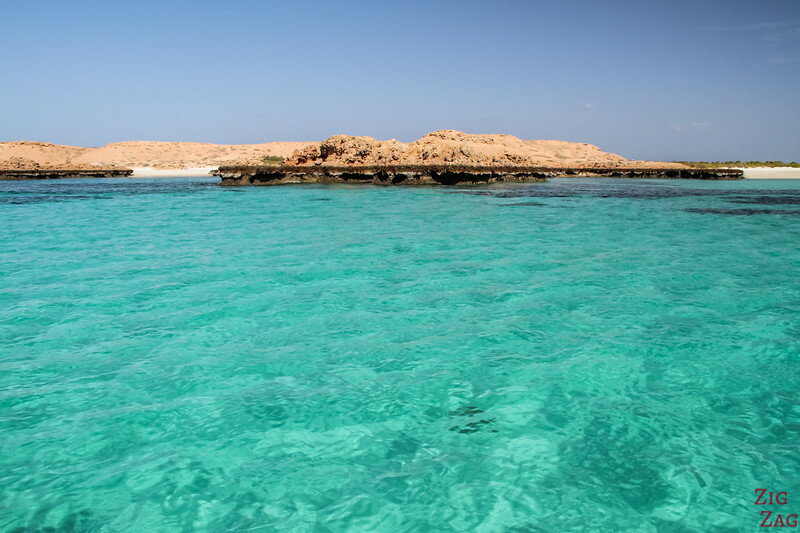 If you love Snorkeling the waters of the Daymaniyat islands are perfect. Located off the coast of Muscat, the small archipelago attracts many species and the experience varies a lot from one island to the other. The largest island offers some protect coves with transparent waters and peaceful white sand beaches. Want to see more photos of the Daymanyiat Islands? Head﻿ to ﻿my﻿ article. Let the pilot take you to the best snorkeling spots around the islands! Landing is not allowed at all times of the year, but snorkeling is always tolerated. Want to see more photos of this sunset experience ? Head﻿ to ﻿my﻿ article. Several boat types can be taken to watch sunset. Nizwa, Wahiba Sands, Wadi Shab... a great variety of the different Omani landscapes. In between your Oman day tours from Muscat you can explore the capital city. Why not start with a half day tour to learn a bit about its history and get oriented? After getting oriented you can easily take cabs to the various parts of town to visit the main monuments. 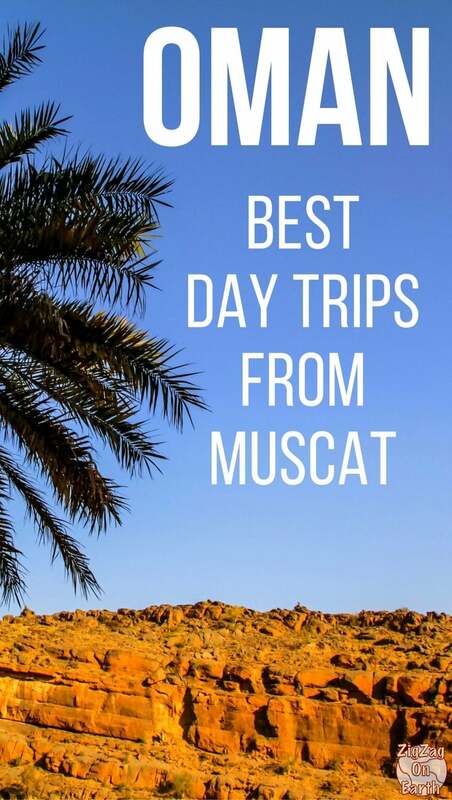 Check out my article about the things to do in Muscat. Want to see Muscat in a different light? 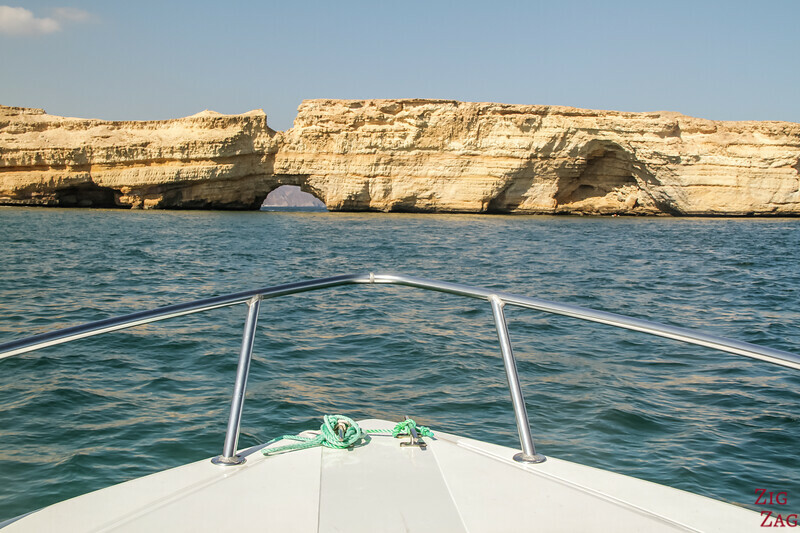 If you want to cover even more, and want to just sit, relax and discover the highlights of North Oman, Consider booking a longer organized trip from Muscat. Could you please advise whether these are offered in the August to September period? Many of them are. When you click on the link, it opens Getyourguide and Viator. In the confirm availability box you can pick a date. On Getyourguide if it is green it means the tour is available. But the weather will seriously limit you walking. It get really hot. I recommend either going in the mountains or visiting fort.